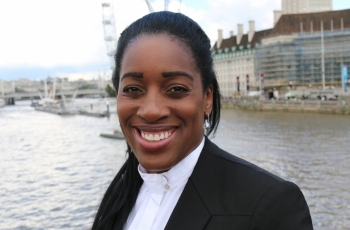 Kate Osamor has served as Labour MP for Edmonton since 2015. Recently in the June 2017 General Election, Kate received 31,221 votes, which equaled a 71.5% majority, retaining her seat. She currently serves as the Shadow Secretary of State for International Development. She previously served as Junior Shadow Minister for Women and Equalities. Kate, who has lived in north London all her life, works as a GP Practice Manager at an Enfield surgery. Her son was born in North Middlesex Hospital and many of her family live across Edmonton. Her work means she sees the effect of this government's policies on our NHS. A well known community and trade union activist, Kate is a trustee of a women's charity based in Edmonton Green which helps local people to cope with economic disadvantage. She pledges to continue former MP Andy Love's work, and hopes for a Labour government to be elected at this General Election - "one of the most important in a generation."